Dpreview forum member redcrow has provided numerous accurate information in the past about upcoming Samsung products. 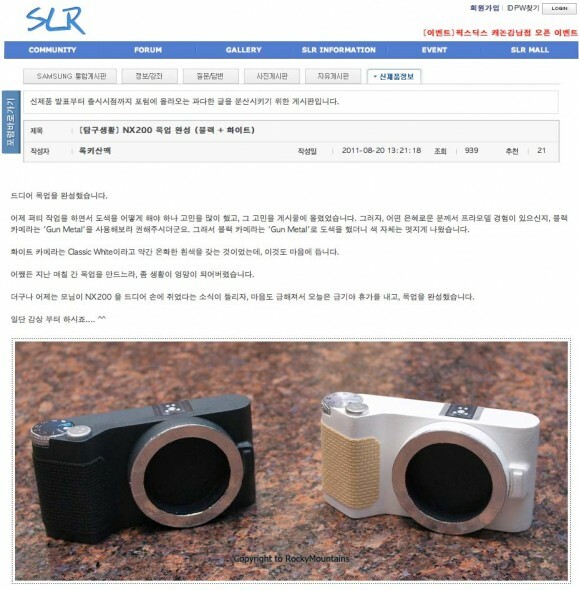 Based on his description, a SLRClub forum member created two different mockups of the upcoming Samsung NX200 mirrorless camera that is expected to be announced next month. "He did great job and the black mock-up looks almost same with NX200, although the size and details are different. But, you can get exact NX200 design cue and look and feel from it."